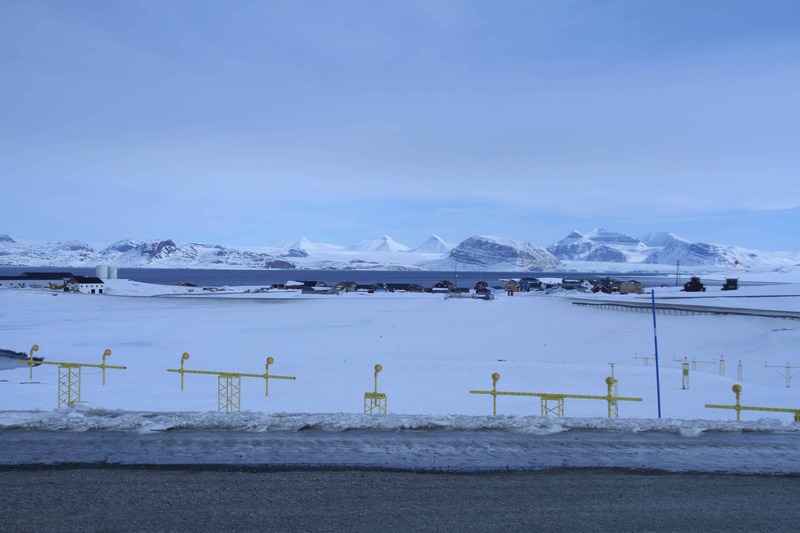 Randi Nygård and Karolin Tampere travelled together to the scientist village Ny-Ålesund on Spitsbergen where they spend two weeks. In this place the environment is monitored from various international research stations. From the village they made one day excursions on skis to investigate and through different media, register the coastline along Kongsfjorden. They also visited the nearby glaciers Kongsvegen, Kronebreen and Vestre Brøggerbreen. During their stay they interviewed scientists at work from Norway, China, Italy, Austria, USA and Germany on questions relating to their site specific scientific research. The main target of investigation in the village during this time of year was related to monitoring ice and snow. Having the privilege to spend time alongside these specialists of environmental change, Nygård and Tampere were introduced to various scientific and perspectives on snow and ice. 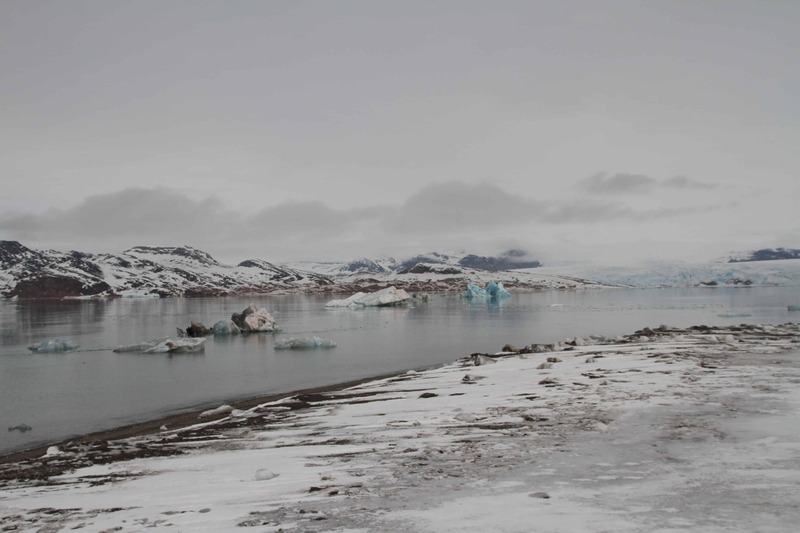 Ancient air captured in the ice can tell us about the climate on earth hundred thousands of years back in time, and the glaciers move in different paces and rhythms which in turn exposes the newly discovered microbes living in and under the ice. Different sizes of icebergs that come from the two calving glaciers. The Arctic may seem like a frozen desertlike environment, where changes happen very slowly, but the fact is that this region is warming about twice as fast as the global average. The weather conditions of The Arctic can be both an early indicator of the future climate of the rest of the Earth and a driving force for weather patterns across the globe. 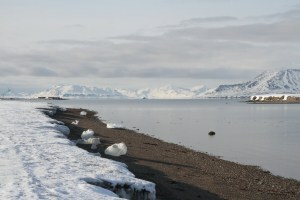 The main purpose for the residency period was to meet with natural scientists and learn about the purpose and complexities of ice and the cold in relation to larger ecosystems in the ocean, and thereby gain knowledge to engage in the discourses related to sciences of the sea and water as part of the environmental change. It was also to investigate the location as a critical zone, where the findings and learnings of the natural sciences, the management of the land and its resources and the international laws, form part of the same picture. An image which can be extended around the globe through the weather, the melting of the glaciers, the currents, rising water in the oceans and the clouds and winds. Thanks to NBK- The Norwegian Artists Society. 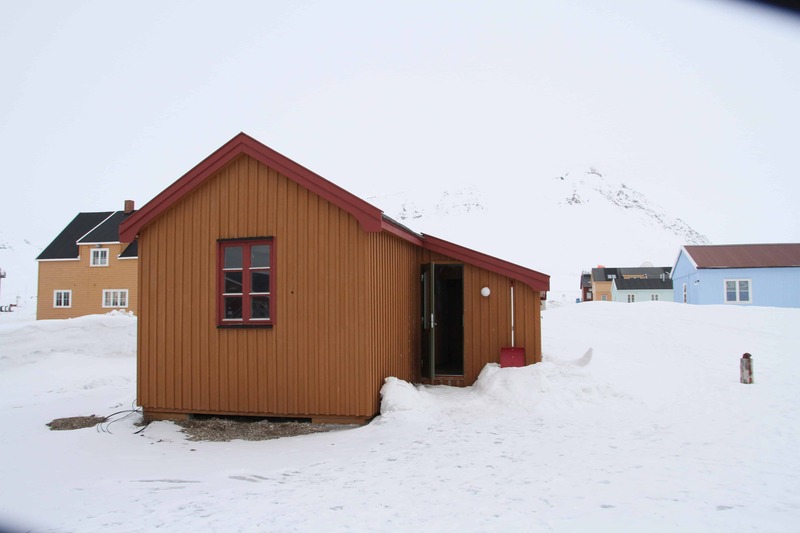 Tampere and Nygård were granted the Artist-in-residence cabin which gives permission and accommodation to stay in Ny Ålesund. Bildende Kunstneres Hjelpefond funded the travels and stay. Kingsbay AS provided their guests with skis, rifles and other equipment needed for a successful and safe stay in the outdoors. Klemens Weisleitner (University of Innsbruck), Jack Kohler (Norsk Polarinstitutt), Rune Storvold (Norut), Svein-Erik Hamran and Mats Jørgen Øyan (Forsvarets forskningsinstitutt), Songtao Ai and Fang Peng (Wuhan University, China), Hans Christian Steen-Larsen (Université de Versailles-St Quentin), Hagen Telg (National Oceanic and Atmospheric Administration), Nick Cox at The British Antarctic Survey (BAS), Jamie Buchanan-Dunlop at Digital Explorer and Dr Angelo Pietro Viola (Institute of Atmospheric Sciences and Climate, Italy). 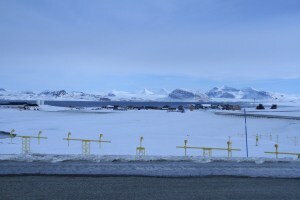 Ny-Ålesund as seen from the small plane landing strip.